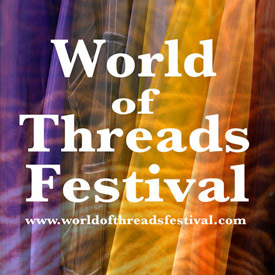 Gareth is Festival Curator for the World of Threads Festival. To see the exhibitions in Festival 2014 visit the Festival website. Gareth Bate is Festival Curator for the World of Threads Festival of contemporary fibre arts which takes place in Oakville and Toronto, Ontario. 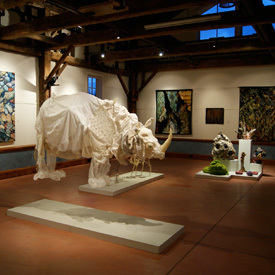 The festival is one of the most vibrant fibre arts festivals in the world. 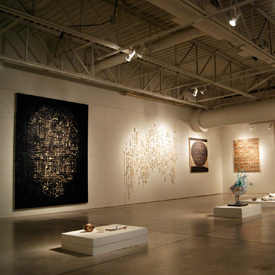 Festival 2012 featured 195 artists from 12 countries and 8 Canadian provinces. There were 21 exhibitions and 11 curators. Gareth curated two of the major festival exhibitions Memento mori and De rerum natura (On The Nature of Things) as well as 5 smaller shows. See the images above to view the exhibition photos. Along with Festival Chair Dawne Rudman he produces the "Weekly Fibre Artist Interview" series which has already featured 110 artists from around the world.